Sadly, despite my best laid plans, I lost no weight in China. Quite frankly, I probably put some on despite biking and lots of walking. I don’t eat pork and shellfish (only finfish for seafood actually) for religious reasons, so I figured between that and not being so adventurous I would eat less. Not so much because the food was amazing. 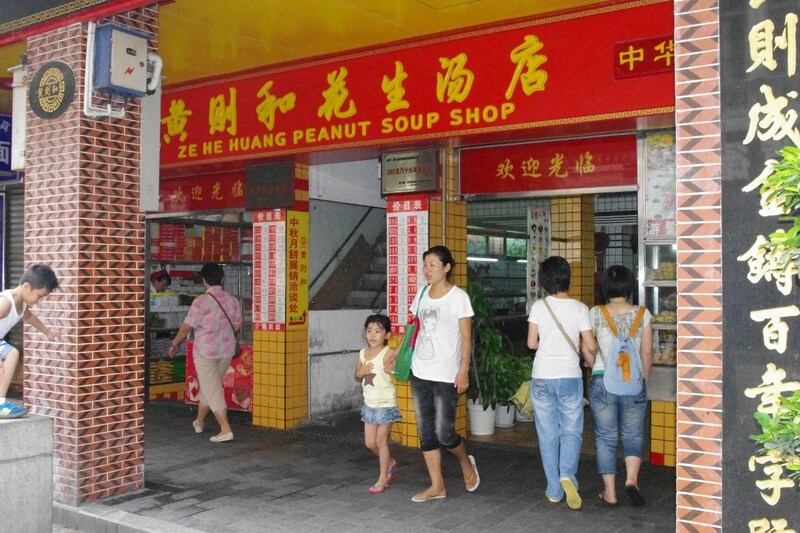 My favorite meal was a peanut soup in Xiamen from Huang Ze He Peanut Soup Shop. It was surprisingly good — warm, crunchy and delicious. I went here a few times for breakfast the five days I was in Xiamen. 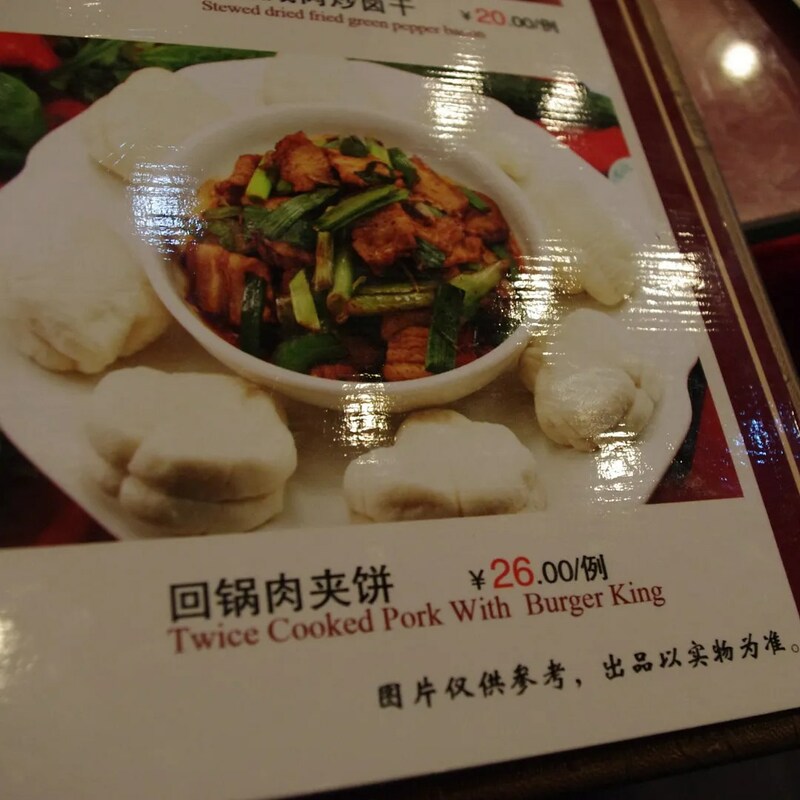 They serve them with these pork buns (I pulled the pork out). 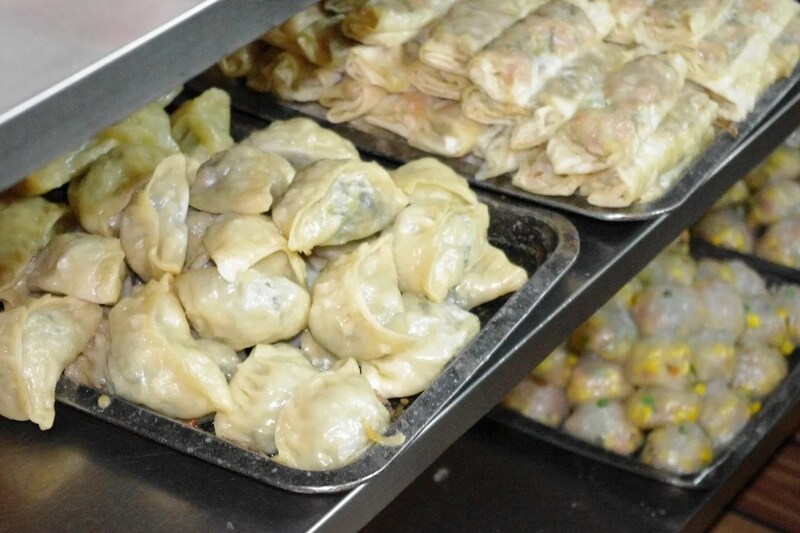 Dumplings are huge in China, especially in the Shanghai area. Most were pork, so I never got to taste them, but they looked amazing. Did you know that 5 percent of Panama’s population is Chinese? About 150,000 people. 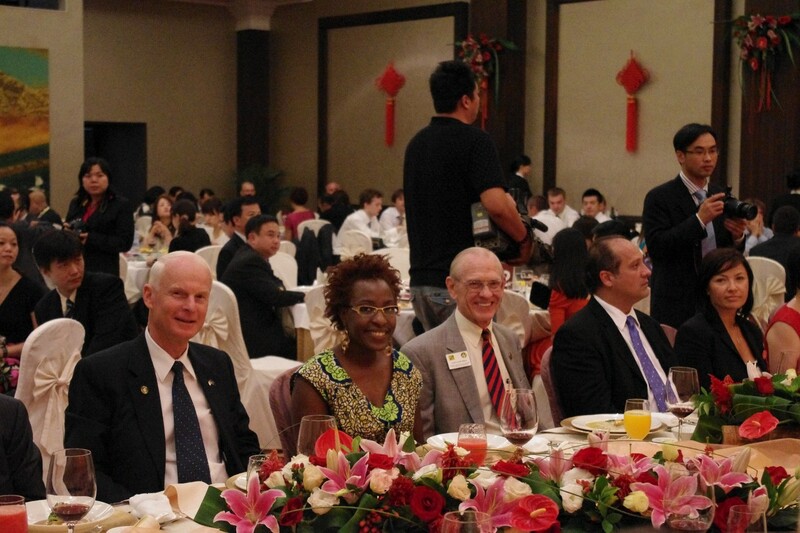 I know this because I sat next to the head of their trade office at dinner one night in Xiamen. 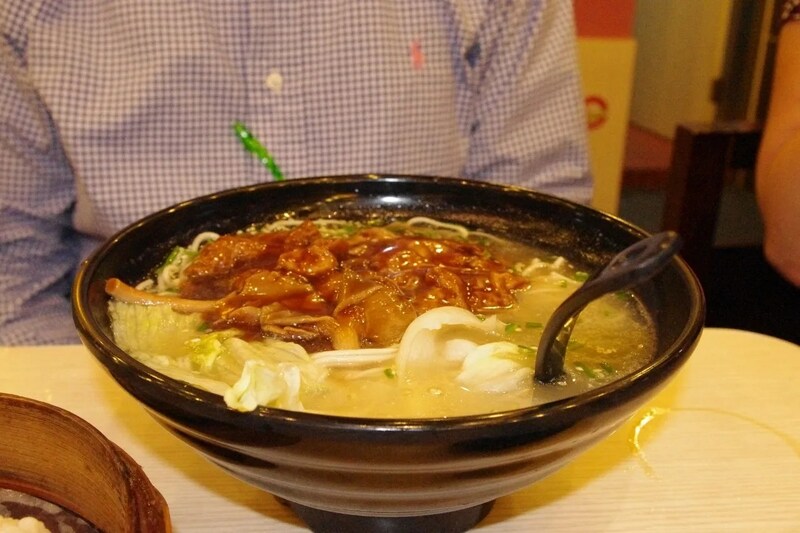 What I couldn’t get enough of was the bowls of noodles. I could (and did) eat these every day. And even better? You can easily get seitan (wheat protein), And tofu is totally common there. Trena told me to adopt a don’t ask, don’t tell policy. I’m not sure what the base was. But, I figured this was good enough. 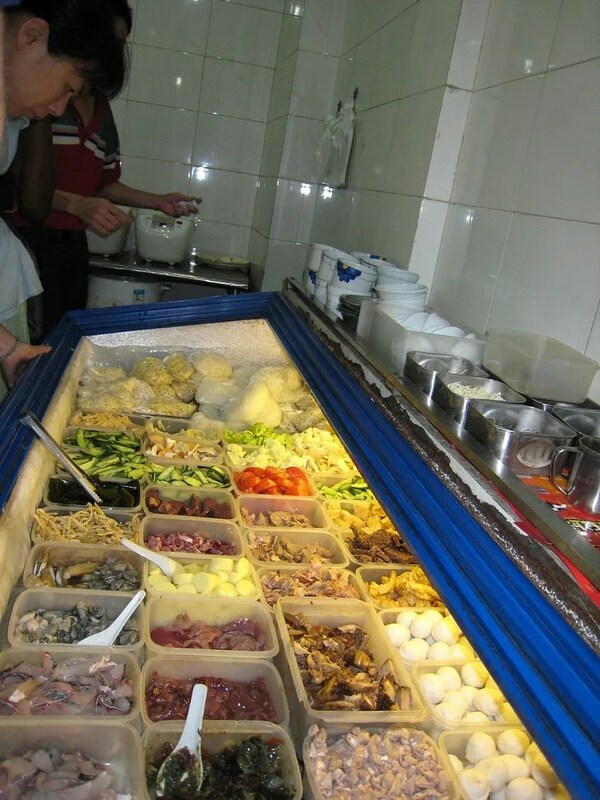 I did have some very very good meals at Buddhist vegetarian restaurants in Xiamen. 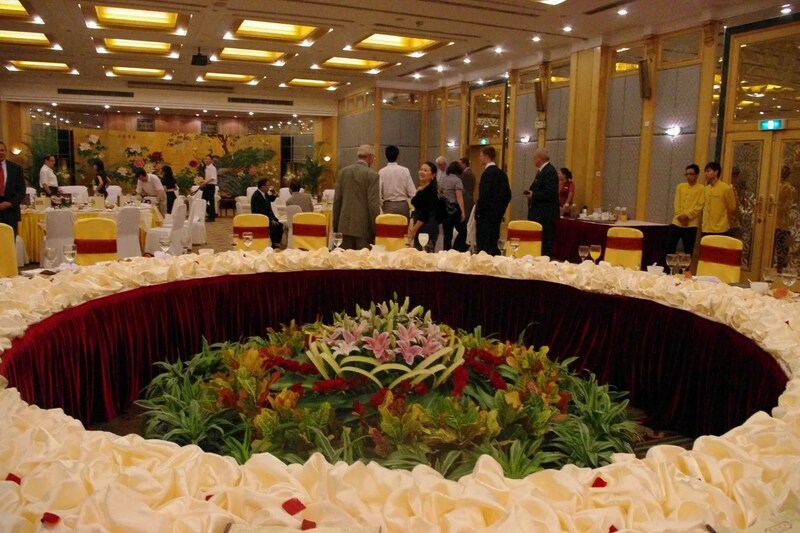 I had about five business banquets to attend. Those, were really bad for me. Despite the language barrier, most of my dinner companions picked up on what I was and wasn’t eating and would start to tell the waitresses to bring me something else. 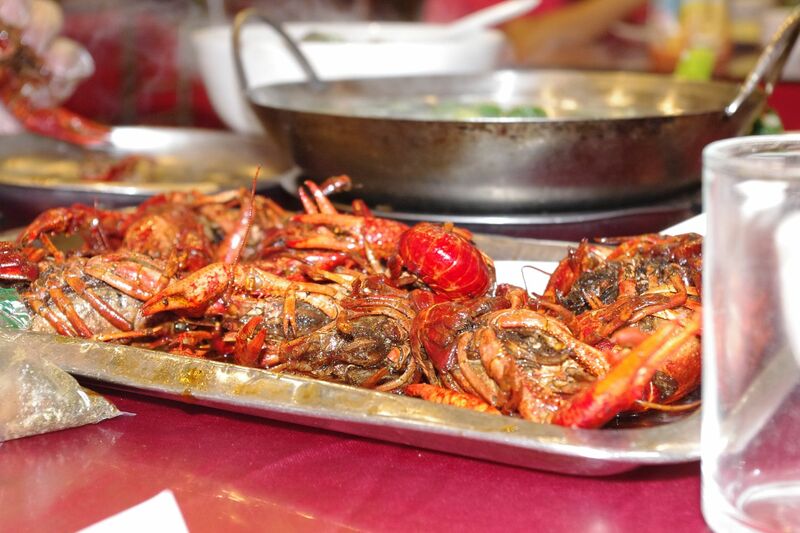 It was mostly the shellfish I shied away from. I ended up eating a lot of bamboo shoots. A. Lot. 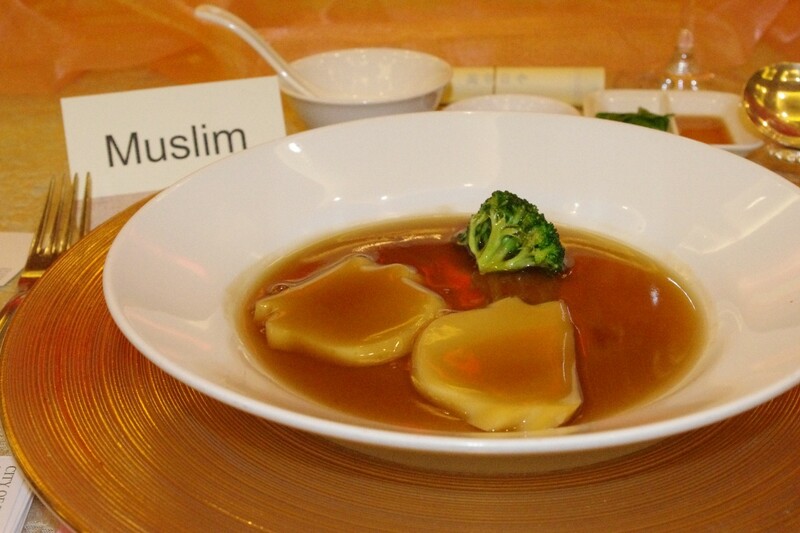 My favorite was when I sat at dinner and saw that they had me listed as ‘Muslim’. Not vegetarian. But, Muslim. At first I thought it was because there was no Chinese translation for vegetarian. But, there is. Not a problem really. But, they also didn’t serve me any wine!! 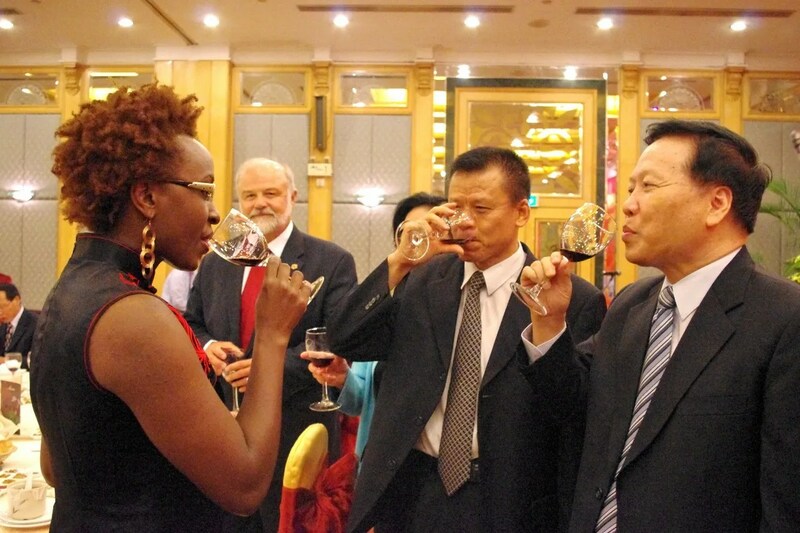 You HAVE to have wine to get through business banquets my friends! I ended up drinking watermelon juice. Not bad. But, not wine. And, that was a HUGE lesson for me. You drink ALL the time at Chinese banquets. You have a toast at the beginning of the meal. And, then, during the meal, you go around and people come around to you to give smaller personal toasts. I was warned about they clear white shots. But, I didn’t listen. I won’t lie. I spent a lot of mornings in a haze. 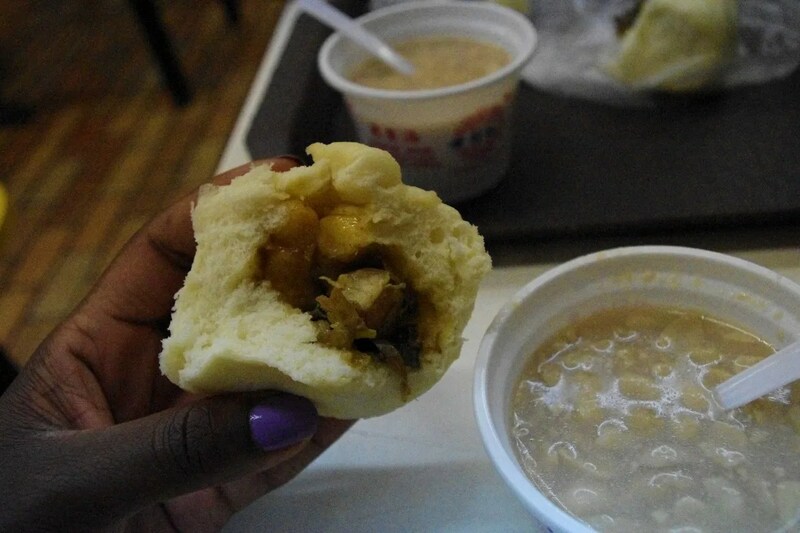 The regular toast is “Gan Bei” which literally means ‘dry glass’. Dry glass and a sweaty brow I say. No trip out of the country is complete without one trip to the local McDonalds. It’s always fun to see what they make differently. I’d also like to point out that everyone inside was skinny. 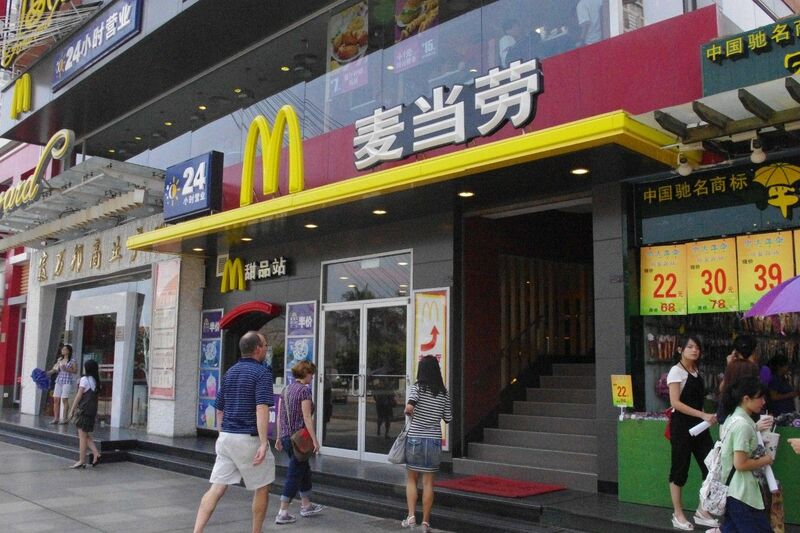 Unlike a US McDonalds. And, they clear your table for you. I actually had breakfast here a lot. I could get an egg McMuffin with no sausage and a hot cup of coffee for less than $5. It was totally fun for us to go to restaurants and look at the menus. 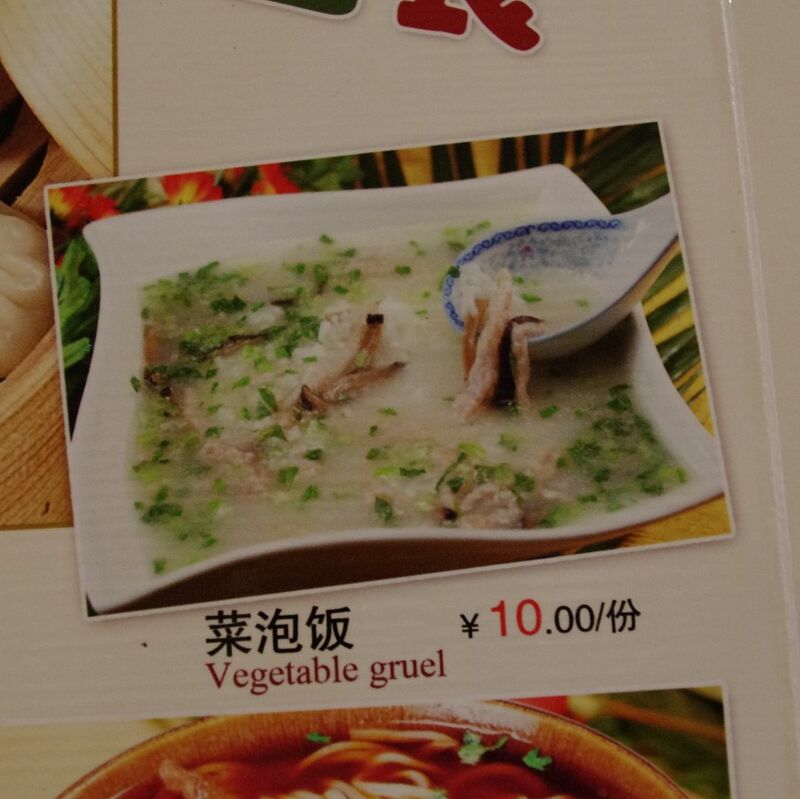 Between the English translations and the photos, there was always a good giggle or gag available. 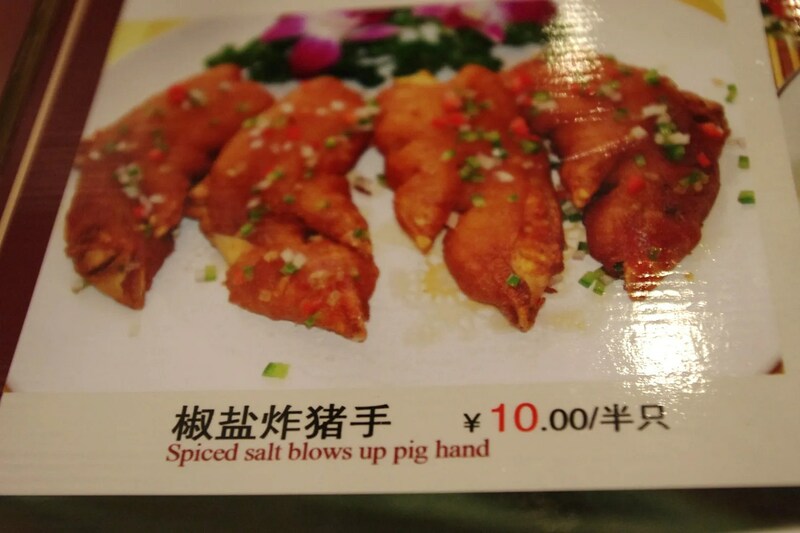 At the first restaurant we ate at after landing in Shanghai, the guys next to us had the special. 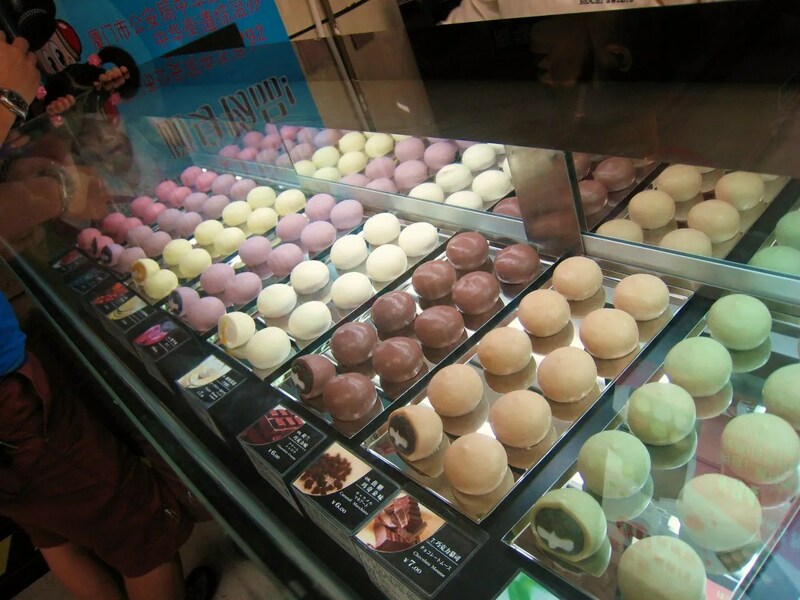 Fancy, overpriced Mochi became my favorite treat in Xiamen. I think they are going to be the next cupcake or macaroon. These were $1 US each. 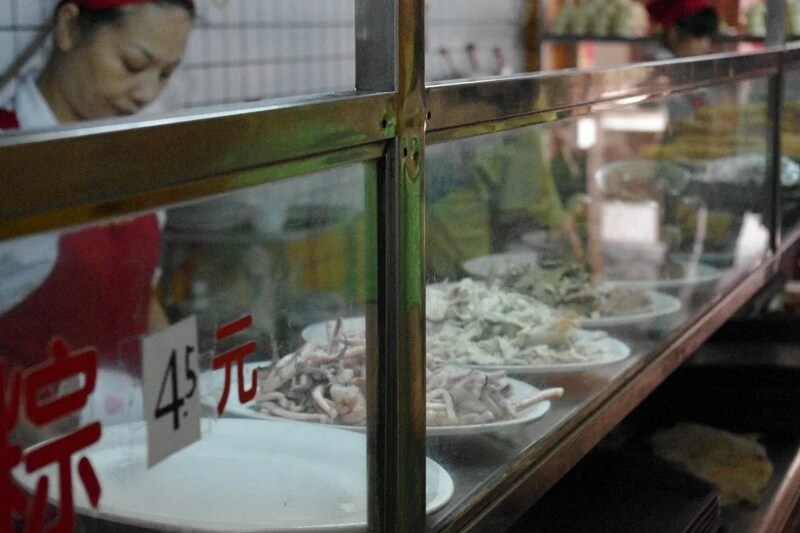 At one place in Xiamen, you picked your noodle / soup topping for about 8 RMB ($1.10) a bowl. There are a lot of things looking at you! What a great post! 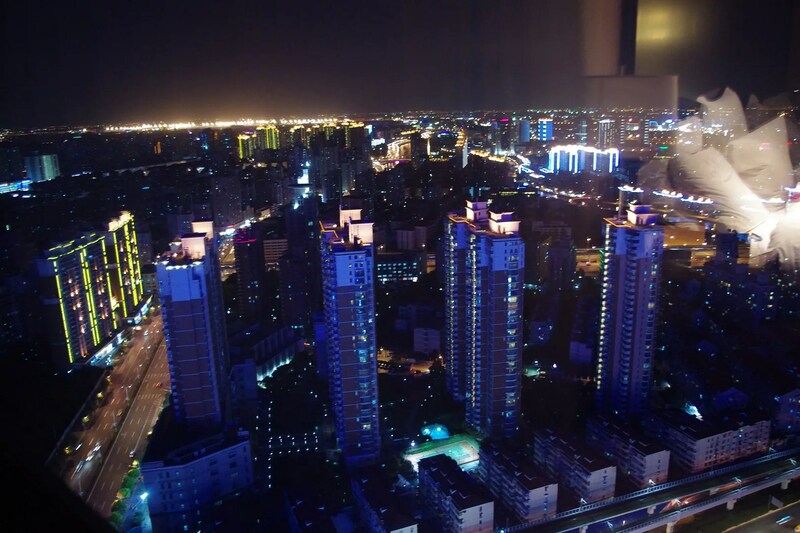 Only, now I’m thinking I want to go to China… May have to think about that one. I was in China 20 years ago. As a Jew I found the eating thing really hard. Very few people spoke English then, and people just rolled their eyes when I presented by piece of paper in carefully printed Chinese saying “We do not eat pork”! God only knows what I injested. 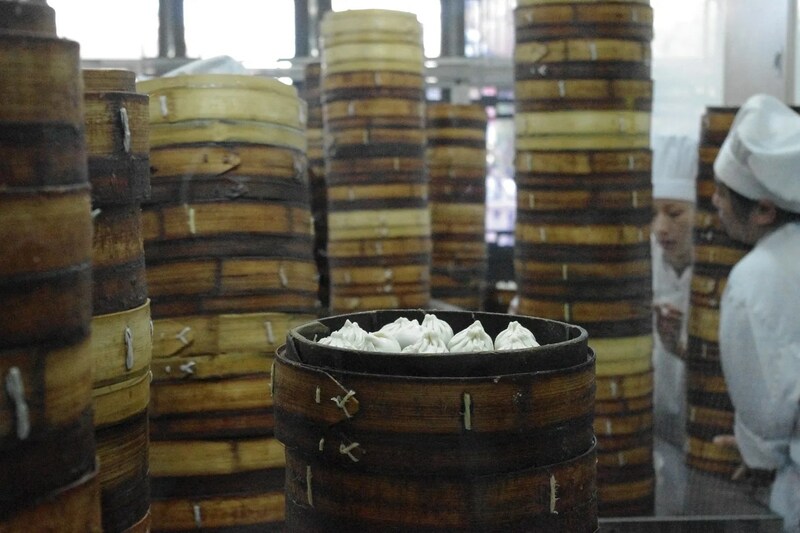 Thank goodness for the Buddhist spots or I may have starved in the seaside town of Xiamen! awesome. sounds like a great trip! Love the labels on the food!!!! Same thing was happening to me! And, I never believed them! I purposefully stuck with with as many veggies as possible. I did have duck one night and I’m still regretting it. Duck hearts. Duck wings in some kind of jelly. Duck breast. 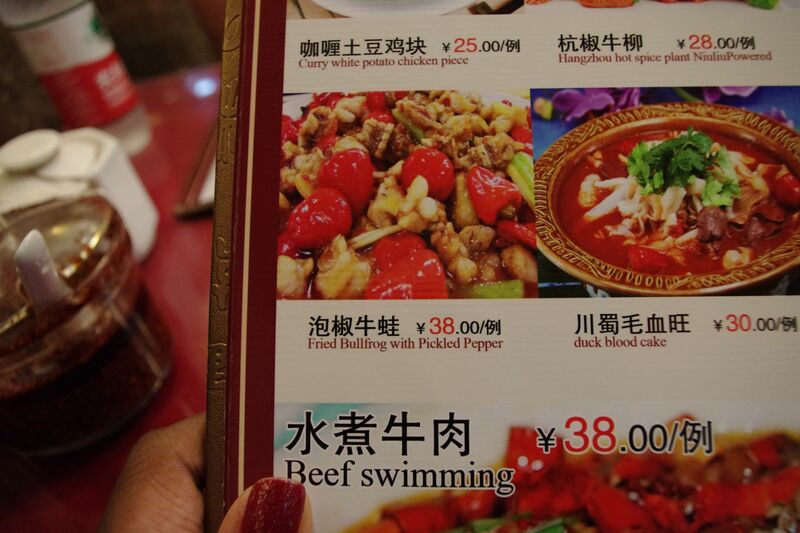 I may (honestly) never eat duck again. *LOL* at the duck comment! 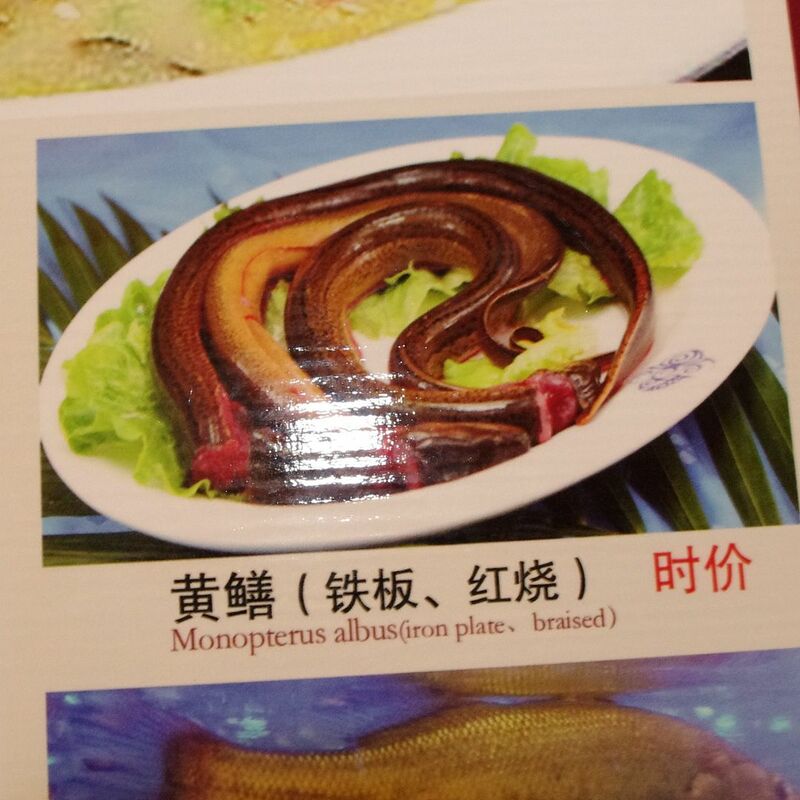 BTW, what was in that dish that looked like pieces of snake or eel? Yuck! Thanks for a wonderful post. You’ve just confirmed why I’m a homebody…I’m just not that dayum adventurous especially when it comes to food! Welcome home! Alex is always commenting on weird translations like these. Some of them are rather bizarre to say the least. Can’t wait to hear about fabric shopping. Reading your post at work. That’s how much I missed you! Great post! Looking forward to more interesting tales. I really enjoyed this post. I guess if the meal was good don’t ask what it was. As the saying goes Whatcha don’t know won’t hurt. Lol! Well that was a lovely food tour! It all looks so interesting- Especially compared to what passes for ethnic food in Ontario! Yummy! omg I really hope you’re right and mochi are the next big thing because they might possibly be my favourite dessert ever. I buy them all the time from the Vietnamese grocery store near my office and get covered in powdered sugar. I’d love to know what all those flavours were – they look like high-class macaroons! Love the Engrish translations. Mochi is great. You can get it in Japanese markets if there are any nearby you. What a great experience. Your hair looks amazing. Fun post! 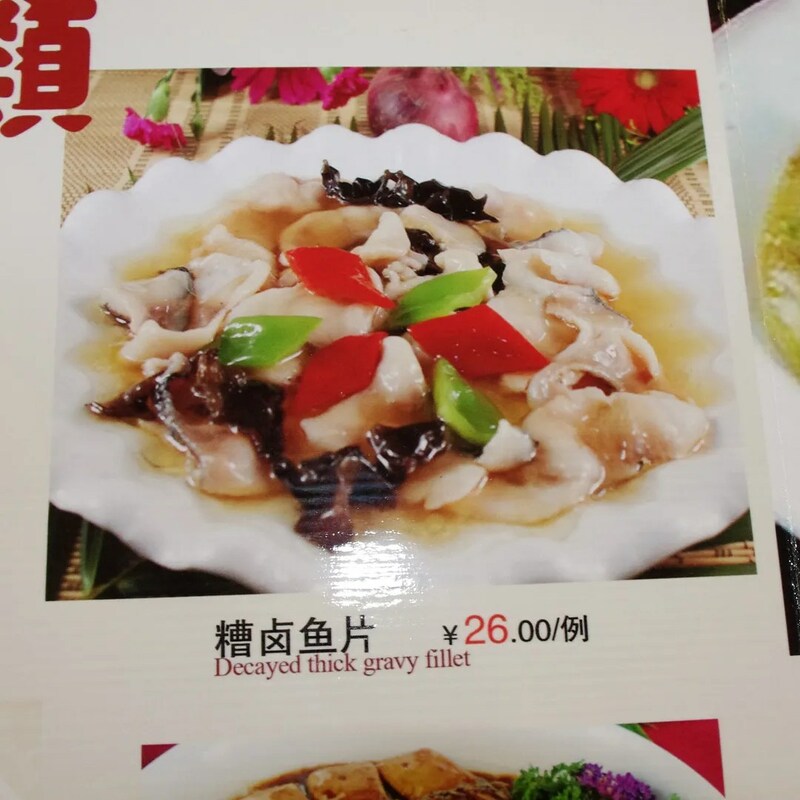 I don’t have any dietary restrictions and am a fairly adventurous eater, so travel is usually fine for me, but I can only imagine how tough it was to keep away from pork and shellfish – especially in China.